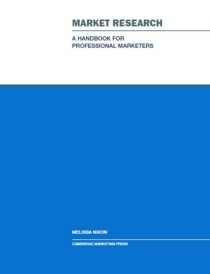 Cambridge Marketing Handbook: Marketing and the Law is an essential and uniquely accessible guide to the key legal issues all marketers need to know about and navigate. Marketers should be aware that there is a large amount of regulation and legislation and that ignorance of the law is not an excuse. 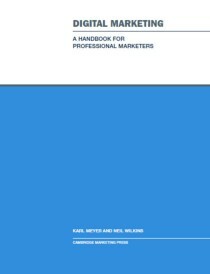 However, many marketers feel very unsure how the various rules and regulations affect them. 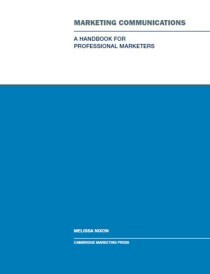 This handbook examines the key issues that affect marketers in marketing communications, including both traditional media such as advertisements and social media. 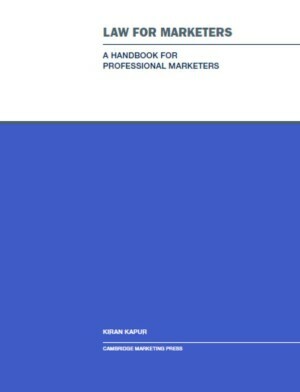 Written by a marketer, rather than a lawyer, this handbook is designed to give practical guidance on all the necessary aspects. Legal language is very precise, and hence complicated; this handbook uses colloquial language for clarity. 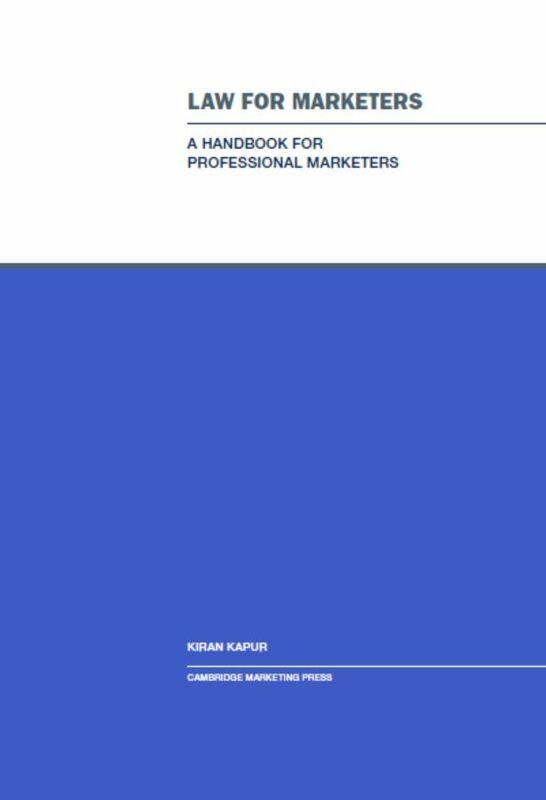 Each chapter includes clear summaries, examples and flow diagrams to help marketers understand how to comply. Kiran Kapur has worked predominately in Financial Services with expertise in customer relationship marketing and customer communications. As a consultant, she has worked as project manager for companies including Liverpool Victoria, Barclays, London Life and Cazenove. She has taught a wide variety of courses at Cambridge Marketing College since 1999 and is the Distance Learning & Overseas Course Director, and a CIM examiner. Kiran is currently undertaking a part-time Doctorate with Kings College, London, researching distance education theories, including specific issues facing overseas learners and the design and delivery of distance learning courses. 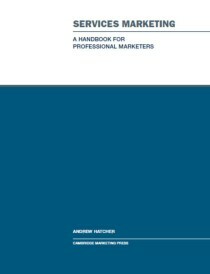 Be the first to review “Law for Marketers” Click here to cancel reply.